Serving G-d with joy, according to His rules. This week's Torah reading of parashat Shimini features the climax of the seven day inauguration ceremony of the desert tabernacle, which took place on 'the eighth day,' Rosh Chodesh Nisan. That is the day that the Shechina, the Divine Presence, rested upon the tabernacle, and also the day of the untimely death of Aaron's sons, Nadav and Avihu. 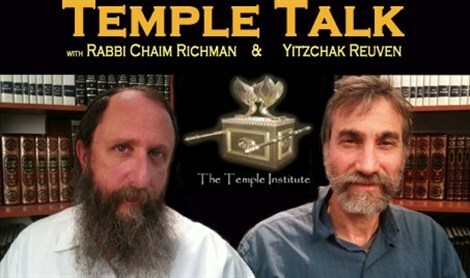 In this week's edition of Temple Talk, Yitzchak Reuven and Rabbi Chaim Richman ponder the intense experience of the tabernacle's dedication and the manifestation of the Shechina, and the connection between the mistaken approach of Nadav and Avihu. What is the message for our generation? Plus: Does a missile attack on central Israel herald the winds of war in Israel? Tune in to this exciting episode of Temple Talk.